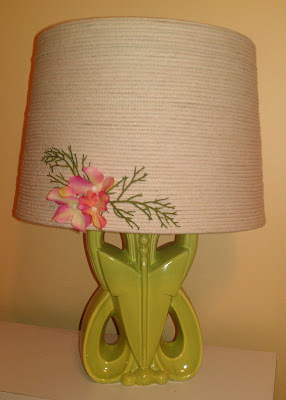 Recently I have been putting a little "umph" into my existing lamp shades. I think I have finished every shade in our house...uhhh, YEP, I have. Holy Cow. You should try it. Proceed with caution! It is very addicting. It is way too fun. This was my last one though. I used just under 300 yards of clothesline to cover two lampshades and lots of mini glue sticks. I attached some flowers to match the shabby theme in my daughter's room. I almost wish I had at least one more to do. Oh well, I guess I will start on those canvas board projects. I know exactly how I want them to look, I just hope they turn out as great as they seem in my head. Have a great day and see ya'll soon! Pretty blah right? See that burnt yellow color on the walls. That is the kitchen and is on my list of rooms to makeover at a later date. Anyway, I had a few ideas before I actually started on the shade but a "collage" pattern seemed to be what I kept leaning toward. So, I found some fabulous vintage printables (for free, of course) over at Far Far Hill. 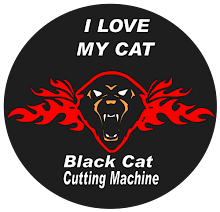 You should pay them a visit and check out all their awesome freebies! I printed out the files I liked on plain printer paper in the appropriate size. I then presonalized some of them using Photoshop and added our names. I began gluing them on in random patterns using Mod Podge. Here's a photo of the shade after I got a few random images on. This is the wall color. It would not have been my choice for a living area, but I have made it work. Here is a small lamp we have in our hall. I covered it in the same way, but for this one I used the same image all over. I hope you all have enjoyed seeing what I've been up to lately. Come back soon so I can show you some canvas boards I am working on for my daughter's shabby chic bedroom!